It’s not homework. It’s history. On Nov. 19, 1863, Abraham Lincoln spoke 272 words to a crowd at Gettysburg, Pa., months after a defining, devastating Civil War battle. It’s a model in oratorical precision – a powerful message of strength through sacrifice, unclouded by bombast or linguistic gymnastics. Speakers and writers could do worse than to strive for such simplicity. The Navy’s top spokesman said as much last week (here via here). 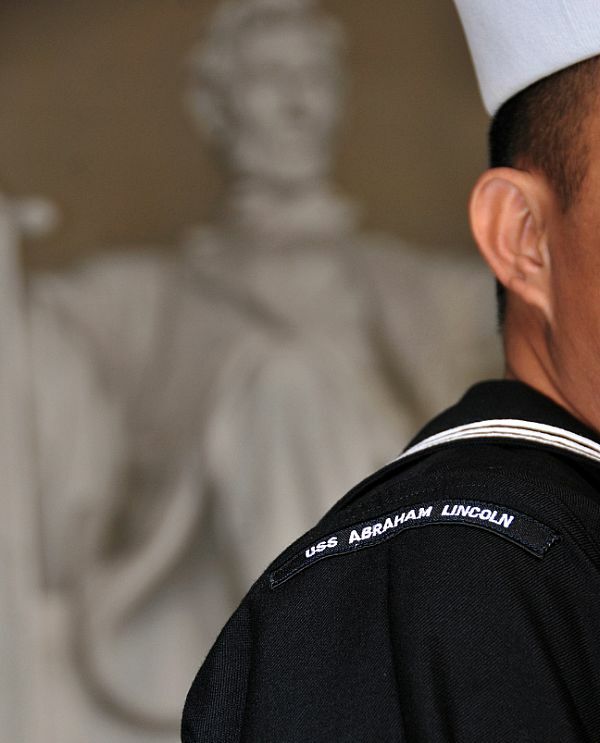 Sailors aboard the carrier Abraham Lincoln should keep that advice in mind if they choose to participate in “272 Words,” an essay contest sponsored by the Abraham Lincoln Presidential Library and Museum that’s soliciting entries for display. The museum extended a special invitation to the crew of the carrier, which is undergoing a refueling and complex overhaul at Virginia’s Newport News Shipbuilding, according to a Navy news release. Members of the crew – and anyone else interested – can read about the contest here. Essay topics can include Lincoln himself, Gettysburg or any other “cause which stirs your passions,” according to the program’s website. It’s an “invitation” to crew members to participate, according to the release – not an order. But Lincoln’s commanding officer, Capt. Karl Thomas, gave his full support. “We are truly fortunate to have our ship named after one of our greatest presidents, and partnerships and challenges like this enable our sailors to connect with our namesake and truly recognize his significant contributions to our nation,” he said in the release. So, sharpen those pencils. And keep it brief. About the size of a blog post.